Cellular metabolism is a complex, integrated process that is supported by key organelles, such as lipid droplets and mitochondria, which engage in numerous energetic and signaling mechanisms. A better understanding of the dynamics and interactions of such organelles like lipid droplets and mitochondria could advance research in aging, cancer, degenerative diseases or obesity. A major problem with current imaging techniques is phototoxicity that leads to the observation of perturbed dynamics. Consequently, the mitigation of phototoxicity leads to poor time resolution of time lapse approaches. This is particularly true for small organelles like mitochondria or lipid droplets that are extremely sensitive to photo-induced oxidation. Last but not least, the use of chemical or genetically-encoded fluorescent markers perturbs the targeted biological processes. 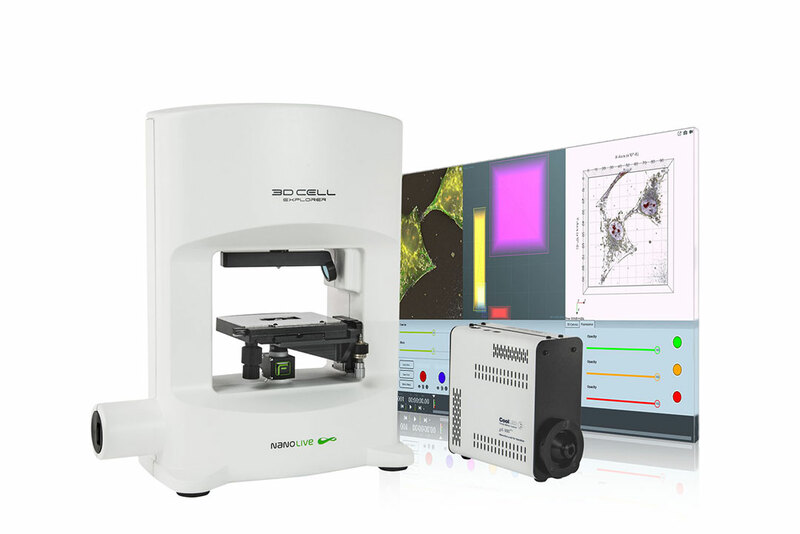 However, the 3D Cell Explorer – a non-invasive live cell imaging tool – overcomes this problematic as it injects in the sample ~100 times less energy (~0.2 nW/µm2) than light sheet microscopes (~1nW/µm2) that are the reference in the matter. 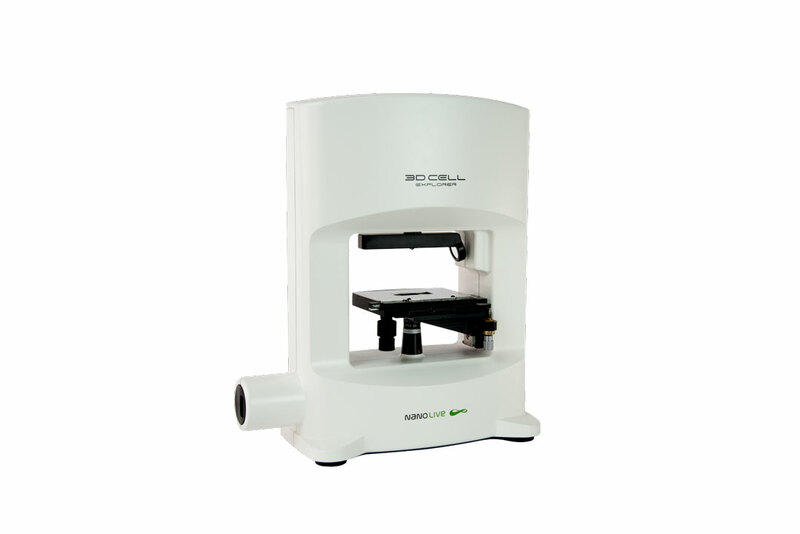 With a resolution below 200 nm, it enables high resolution and high-frequency imaging even with sensitive material, giving access to organelle dynamics that were previously out of reach., e.g. imaging mitochondria. Video 1: On the left panel you can observe a time-lapse of pre-adipocytes imaged with the 3D Cell Explorer for 1 hour at a frequency of one image per five seconds (movie speed: 15fps). On the right panel we zoomed a portion of the field of view to better appreciate the interactions between mitochondria and lipid droplets. On the two small squares on the bottom, the mitochondria and lipid droplets are displayed for identification at different time points. Video 2: On the top panel you can observe a time-lapse video of of pre-adipocytes imaged with the 3D Cell Explorer for 1 hour at a frequency of one image per five seconds (movie speed: 15fps). Objective magnification is 60x. On the bottom panels we progressively zoom into the cells to better appreciate all details of these interactions (2x = 120x; 4x = 240x; 8x = 480x), e.g. mitochondria dynamics. The following two movies want to drive your attention to mitochondria dynamics. Dynamic details of fusions, fissions and mitochondrial network remodeling are highlighted. Video 3: Live imaging of mouse pre-adipocytes for 48 hours. 1 image per minute. Video 4: On the left panel you can observe a time-lapse of pre-adipocytes imaged with the 3D Cell Explorer for 1 hour at a frequency of one image per five seconds (movie speed: 15fps).On the small square on the bottom, mitochondria are displayed for identification at different time points. On the right panel we reported an static TEM image of mitochondria. Benador, I. Y. et al. Mitochondria Bound to Lipid Droplets Have Unique Bioenergetics, Composition, and Dynamics that Support Lipid Droplet Expansion. Cell Metab. 27,869–885.e6 (2018).